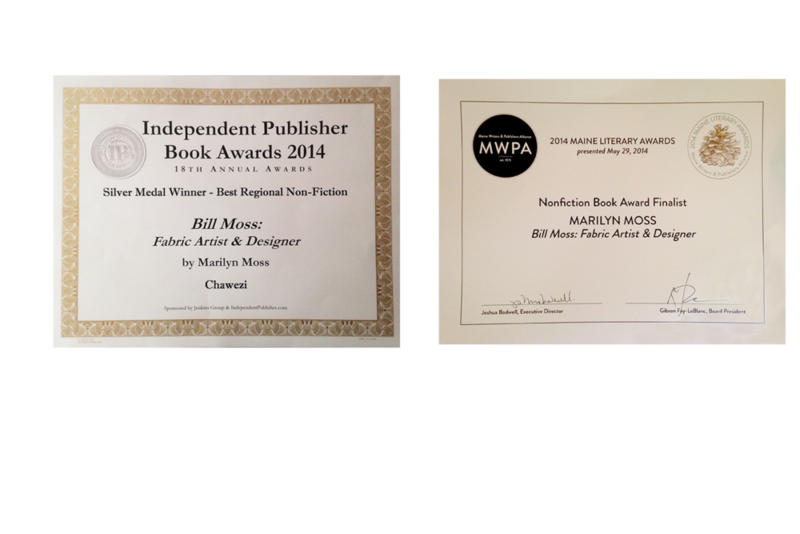 Bill Moss: Fabric Artist & Designer. Bill Moss: Fabric Artist & Designer traces the life and work of one of America's most innovative fabric artists and designers and a true pioneer in the creation of tension fabric structures. The contributions of Bill Moss to mid-twentieth century American culture were many. First changing the world of camping with the invention of the Pop-Tent, he went on to shake the world of fabric design with the many forms that we now take for granted. Lavishly illustrated with historic photographs, the book chronicles Moss' creative life from his early years until his death in 1994. It's appeal is broad as it encompasses many aspects of our cultural history—from architecture and design to biography to the complete transformation of the camping experience. Woven into this tale is the story of an award-winning Maine company, Moss Inc. Engaged in the creative economy before most people used the term, it was also known as being one of the most socially responsible businesses in the country, a reputation that held fast up until its sale by CEO Marilyn Moss in 2001.